There are two possibilities when working; one of them is where a task comes to you, and the other is where you go it. Consider a situation where you are working in a car scrap yard, which means that you might need to move here and there, to retrieve different parts from the cars. In such a case, you will need a cordless model or a reciprocating saw, unlike the case where you cut parts from a car on a lift before sending it to the scrap yard, which means you will need a corded model. Making a choice between a corded and a cordless model should be easy since there is no need for a cordless model with heavy batteries while you have power outlets within the area where you are working. Besides, extra batteries for a cordless model will cost you high amounts of cash, with the performance not coming close to what a corded model can offer. Some models usually come with a hex wrench clamp for holding the blade, which is advisable for use, especially when working indoors. Also, the wrench pattern is a standard hex pattern, which you can easily replace if it gets lost. However, there are times you will work in busy places, where blades may easily get bent or broken. As such, you will need to get a quick change adaptor so that you don’t have to spend a lot of time when changing the blade. In addition to that, you need to make sure that the quick change adaptor part is made of metal, as it tends to break easily when made of other materials. When choosing a reciprocating saw, the higher the voltage or amperage, the stronger the tool. Therefore, you should test the work you have at hand, and make the best decision about what voltage will suit you best. Consider, also, that higher voltage saws will be more complex and heavier than the lower voltage saws, which means that you might not be able to use a high voltage saw for a long time. 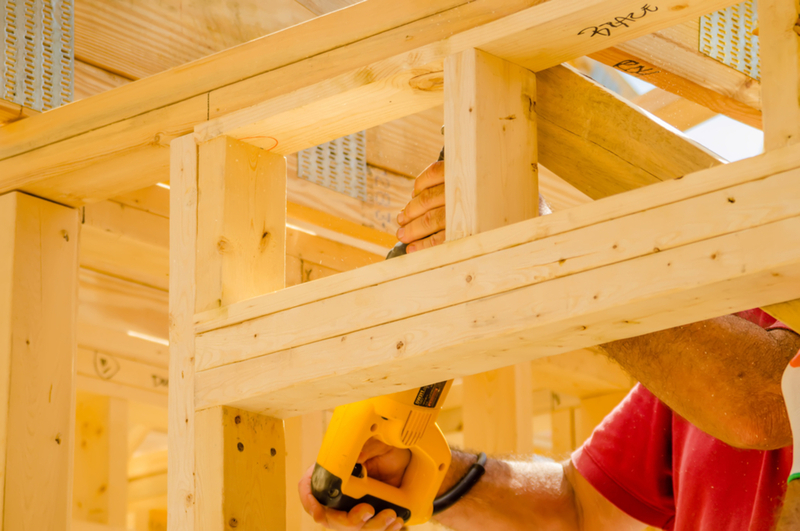 If you have a full day job whereby you will need to use a reciprocating saw during the entire period, choose a low-voltage saw which is light. If you are at a car accident scene, choose a saw with the highest voltage since it will have more cutting power enabling you to cut open car doors using the shortest time. The best cutting action for saws would be the orbital cutting action, as it helps one to cut through materials faster than any other cutting action. Orbital cutting is usually best when you are resting the shoe of the saw on the surface which you are working on. If you are using your saw while freely holding the saw with your hands, do not buy a reciprocating saw that employs the orbital action. This point is rather straightforward since many strokes per minute means that your saw will cut faster, allowing you to work on your projects within a less amount of time. However, the saw should have variable cutting speed in its settings, considering that there are times when you need slow cutting speeds. The blade stroke point means that saws with a longer stroke have more teeth and will finish cutting faster when compared to those with a shorter stroke. There are different sizes of blades for reciprocating saws, varying from 4, 6, and 12 inches in length, which all depends on the kind of work you are handling. However, reciprocating saws with smaller blade lengths are easy to handle, which results in a greater cutting efficiency. You also need to choose your saw based on the type of blade it has, which could vary from wood, metal, or hybrid which is also known as a demolition or bi-metal blade. Once you have decided the saw qualities you need, the next step is to choose the brand of the saw. There are some brands which are more efficient and durable than others or are just excellent in the overall quality they offer. The warranty part should also be a priority when choosing your saw since your saw can break down at any time, which is not predictable. In conclusion, the above tips should be right for you as you’re choosing a reciprocating saw for purchase. Make sure that you have researched well by using various sources of information. Never forget to ask for recommendations from people close to you, who have the necessary information about reciprocating saws. 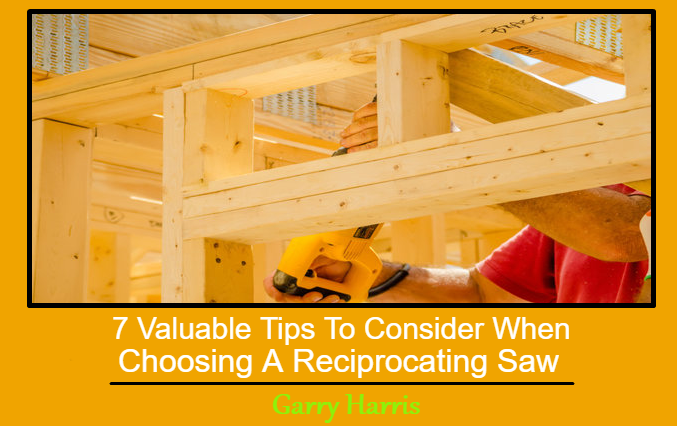 This Concludes: 7 Valuable Tips To Consider When Choosing A Reciprocating Saw. What Did You Think Of This Post? Let Us Know By Rating Below!